Martin Scorsese will direct an "unconventional" biopic of crooner Frank Sinatra, it has been confirmed. 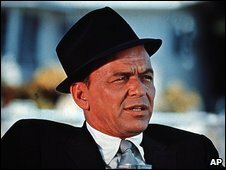 The movie, which will be made by Universal Pictures and Mandalay Pictures, will be the first feature film about Sinatra's life. 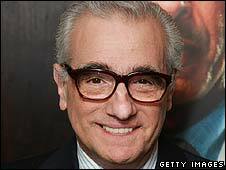 The star's daughter, Tina, said it was "personally pleasing" the film would be made by Oscar-winner Scorsese. The singer, also known as Ol' Blue Eyes, died in 1998. His hits included My Way and New York, New York. "My father had great admiration for the talent of the people he chose to work with, and the talented people who worked with my father had great admiration for him," said Tina Sinatra, who will work as an executive producer on the film. "It is personally pleasing to me that this paradigm continues with Marty Scorsese at the helm of the Sinatra film." The film's co-producer Cathy Shulman said the film would not be "a cradle-to-the-grave traditional portrait of the consecutive events in a man's life". "Instead, it's more of a collage and, in many ways, it will feel like an album itself. "It's a collection of various moments and impressions in his life and together we hope they'll tell the full story and present full themes." Phil Alden Robinson, who has previously scripted films like 1989's Field of Dreams starring Kevin Costner, is writing the screenplay. Decisions on casting have yet to be taken. Sinatra was the son of Italian immigrants who rose from working as a singing waiter to become one of the world's most-loved singers. He also appeared in a series of films including From Here to Eternity, for which he won the best supporting actor Oscar in 1954.